Want To Live Long? Then Don't Prosper . . .
Well, I guess a minor master is an IM; a few hundred Elo points below them are FMs, and then a few hundred Elo points below FMs are me. So by that reckoning, I ought reach the age of 84.1 years! I can live with that. My friend Michelle, meanwhile, revealed in the comments here that she can't quite remember the rules of our deadly game. Now I'm no scientist, but I am pretty sure that makes her immortal. Good news indeed. Happy New Year, Streatham & Brixton Chess Club and everyone else. May it be a healthy one, whatever happens to your rating. Christmas is coming - and that means, no internet connection for me down at my mum's. So, Streatham & Brixton Chess Club's blog is now officially on holiday until the New Year. In the mean time, don't forget the Richmond Rapidplay coming up early January - nor the Chessabit Tournament later in the month. And if Santa brings you nothing interesting to read, why not download a free book on Botvinnik's secret games? Or if there's nothing on TV - Chess Fever (featuring a cameo from Capablanca) is well worth a watch. Or if you fancy stretching your brain power, you can try a nearly impossible quiz - or more realistically, some fun chess puzzles. Also on the fun front, find out your Kasparov Number, and check out the Blunders of His Great Predecessors. So, happy holidays; have a great Christmas and new year. Barring surprises, our blog will be back in 2007 with more chess news, puzzles, links, fun, games, and anything else anyone can think of. Chessabit held their second one day rapid event at the beginning of this month. Jerry Bloom from Hackney Chess Club was the outright winner, with 7½/9. I finished in the chasing pack on 7/9: Second place, you might think. But alas a statistical tie-break put me out of the money prizes, that went instead to Peter Ackley (second) and David Haydon (third.) The fact I beat Haydon in the final round didn't count for much either, since the tie-break used was apparently the 'Median Buchholz' - which ignores the result of one's highest placed opponent. Ho hum. Still - it was a fun and interesting day in a pleasant venue (pictured.) Two other Streatham & Brixton Chess Club players took part - Adam W, and James who emailed me for this report to say: "I will definitely play again. It's a great addition to the London chess scene, the organisers are great." Well, the good news for James and others interested is the wait won't be too long. 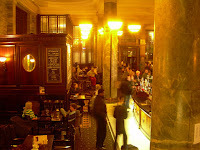 The Third Chessabit Rapid Tournament is coming up on January 20th, at The Crosse Keys pub again in central London. First Prize once again is £500, whilst the number of rounds seems to have been reduced from 9 to 8. Entry stuff here. Anything else? Well, you'll find my first report on Chessabit here, and this is my second. And don't forget The Richmond Rapid on the 7th too (preview here.) Finally, below you should find two of my games from the event - playing through them ought give you an idea of the standard. 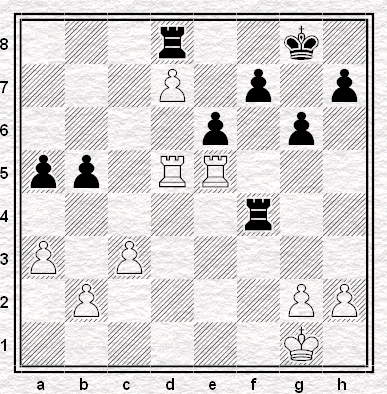 The David Haydon game took quite a few more moves to finish - but the result is already clear where the fragment ends. I saw this movie at an exhibition in London a few years ago, The Art of Chess: now, as Chessbase report, you can watch it yourself on Google. It's known among chessplayers for its chess content, notably Capablanca's appearance in which (not out of character) he's depicted picking up the hero's girlfriend. It's not just a curiosity though: it's actually a good, funny movie. You can watch it here. The hardest quiz in the world of chess made its annual appearance today*: scroll down for the questions. You'll have to scroll quite a way - the section describing the prizes is even longer than the quiz itself. Come to that, in this particular quiz the list of prizes is usually longer than the list of completely correct entries. Substantially longer. 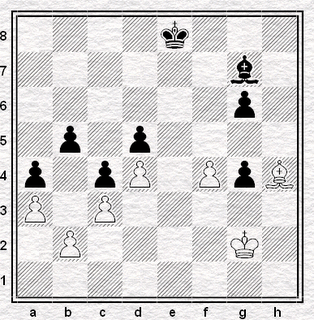 So, while we could all pretend to have a go at it ourselves, and be lucky to get one or two correct, I would propose, in the spirit of the Kasparov v The World chess game, that we pool our resources and try and get as many answers as we can between us, much as people do with the King William's General Knowledge Paper. After which the only question will surely be - what to do with the prizes? I would start off, but at first glance I don't think I know any of the answers at all. You can't fail . . . The open goal you can't miss - and bang, the ball is fifty foot up in the crowd. Six wickets in hand, three runs to win - and then, ouch: it's Shane Warne bowling, and the Ashes crumble in your fingers that very over. 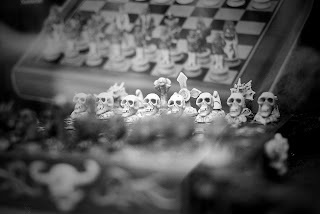 Or in chess terms, you're three rooks, five queens, twelve knights, and three hundred bishops ahead - and drat, his king's stalemated. You never even saw it coming. Yep - we've all been there, ruining those certain wins. However, I promise you that you'll solve this puzzle by V. Röpke (Skakbladet, 1942) correctly. In fact, try not to. Oh - just one little thing extra. If you don't yet know your Kasparov Number, go work it out, and let us know in the comments. I've just remembered I beat Adam FF in the Portsmouth Major eleven years ago when we were both Juniors - so that increases mine to 5. So, one time you beat player A. Another time, A beat B - who also has beaten C. C beat D, D . . . How long is that chain until you reach Player Z who beat Kasparov? Well, how long is, in fact, your Kasparov Number. And this is the website that will work it out for you. For instance, Adam FF beat David Howell in 2001. Two years later, Howell beat Speelman - who had in 1996 beat Yermolinksy. And way back in 1975, Yermolinsky beat Kasparov. So Adam has a Kasparov Number of 4. Impressive! Of course, not every Streatham & Brixton Chess Club player will be on Chessbase Megabase 2005, which IBeatGarry.com use to work out these degrees of separation. I'm not, for instance. But then I beat Antony Cullen earlier this year - and he's there, with a Kasparov Number of 6. So, my Kasparov Number is 7. Dang, I need to work on that! "Was it Wimbledon v Streatham, Wimbledon v Watford, Watford v Streatham, or Watford v Watford?" writes Martin about our London League Division 1 match on 30th November. "It was impossible to tell. Everyone seemed to know everyone else and had played each other a hundred times before - all very convivial, but it didn't stop the slugfest." Well, I'll solve the mystery. It was Streatham 1 versus Wimbledon 1. And, indeed a slugfest it was. The score of that match currently stands at 5½-5½ - with only three draws amongst all that. I blogged the finish of my game from the evening here - while the match will be decided by Adam W's adjourned game. After a dull ‘strategic’ game we were both down to around 15 minutes left to complete the game. I made an error on my previous move, leaving us in the above position. 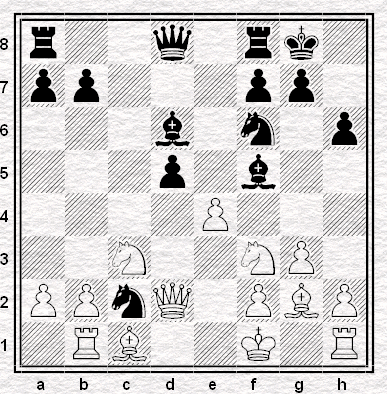 Can you spot White’s move? 43. Qd5+ Ka7 44. Qf7+ Ka8 45. 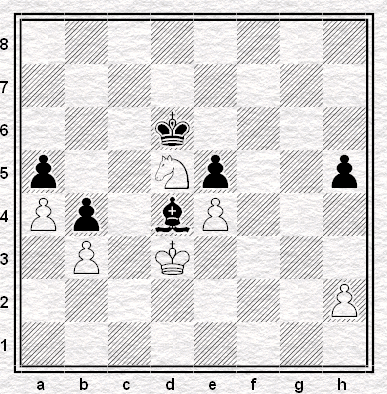 Qxf6 h3 White needs to somehow combine pushing his e-pawn, disrupting Black’s h-pawn’s progress and even bringing up his king to help in the mating attack. 46. 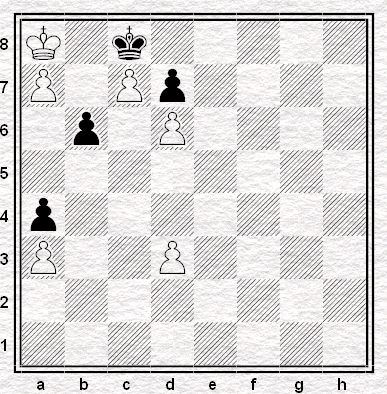 Qa6+, 46. e5 or 46. Kb4 looked good to me, but instead he chose 46. Qh8? 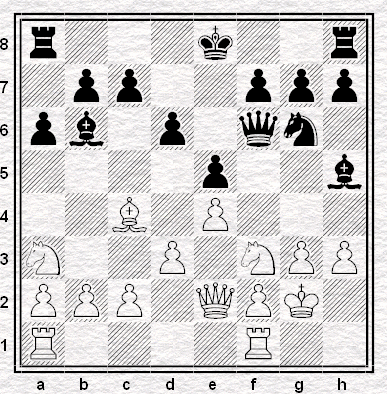 (this wasted move probably throws away the win) 46. … h2 47. Qh7? losing to the simple 47. … Rg1. It transpires that White had missed the fact that the bishop on b8 covers the pawn on h2, and thought Black was just tied down!! 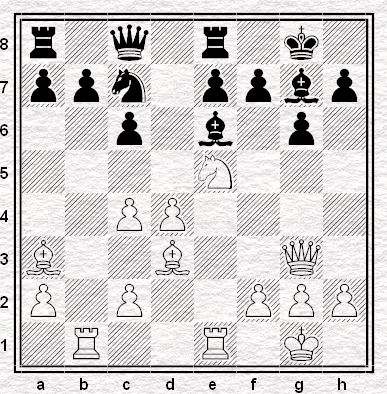 Unfortunately, White cannot give any checks and his unfortunate king position means there is no perpetual as Black can bring his rook back.48. Qd7 Rc1+ 49. Kb4 h1=Q 50. Qd5+ Ka7 51. Qd4+ Ka6 52. Qf6+ Kb7 53. Qf7+ Rc7 54. Qd5+ Ka7 55. Qd4+ Ka8 56. 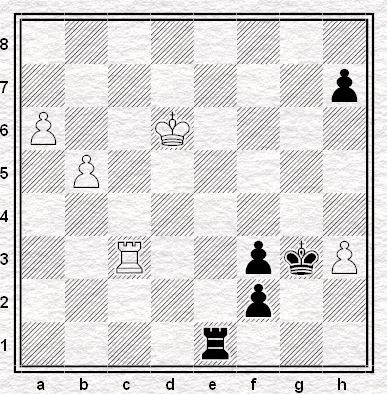 Qd5+ Rb7 Despite having no more checks, White plays on in the time scramble. 57. Ka5 Qa1 58. a4 bxa4 59. bxa4 Qf1 60. e5 Bc7 mate. I expect White had nightmares about that one! And that's what we mean by slugfest . . . Meanwhile, Richard sent me a brief note about our Croydon League Second Team: "We lost night’s match at Dulwich. It stands 3-0 to them, but hopefully we will avoid the whitewash as Jonathan has much the better of things in his adjourned position." So, that's two adjournments to wish Streatham & Brixton Chess Club players good luck in. Good luck! Click here: piece originally posted on A Few Words Before We Go. "Perhaps I should just give up with puzzles altogether?" commented an exasperated Jonathan, after being stumped by Justin's very tricky post. Well, we wouldn't want that. So - here's a brief, witty little number, that hopefully won't hurt the brain cells too much, and will entertain to boot. 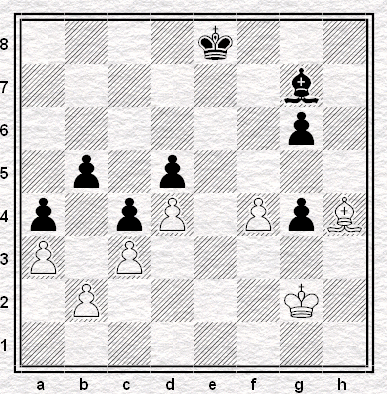 It was composed by puzzle-legend Sam Loyd in 1858 - although I encountered it just the other day in the ChessWorld Chess Forum. Previous puzzles are indexed here btw. And if you fancy something different, don't forget our growing collection of Ultimate Blunders. As a child, I would have said snowball fights in the back garden, a new BMX to race across the fields, to the mirror magic of an ice pond; or spotting a bird's nest amongst white branches, the glimpse of a wing lifting through frozen morning. Now it's more likely to mean a new pile of books I don't want to read, an emptied overdraft, and a barely-functioning liver. Still, this January offers something different from either of those. Yes, that's right. The 69th Richmond Rapidplay has just been announced, and it will take place on Sunday 7th January. There are four sections - an Open, an under 160 Major, under 120 Intermediate, and an under 80 Minor. Rather nicely, this tournament has an excellent 4½ point rule: "if you score 4½ or more out of 6 you are GUARANTEED A PRIZE." Oh - and it's organised by Streatham & Brixton Chess Club members Angus & Sue, amongst others, to boot. Personally, I can't think of a reason not to go. So click the above link to find out more - or go straight to the entry form here (PDF file), and I hope to see you there. Do you recognise this position? I’m betting that a fair few people will know it’s taken from the first game of the Fischer – Spassky match in 1972. Spassky, playing White, had just exchanged a pair of knights on d6 and after Fischer recaptured with the bishop, pushed his pawn to b5. What happened next was so shocking that journalists still wanted to ask Fischer about it 20 years later. 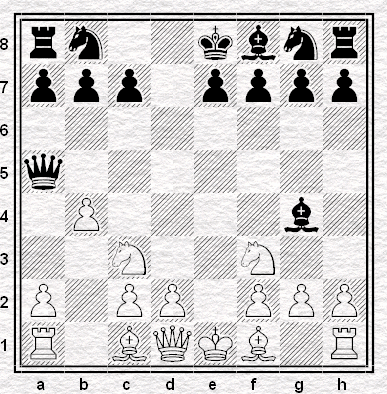 What’s so incredible about this blunder is that it’s exactly the sort of move an early chess computer would play. 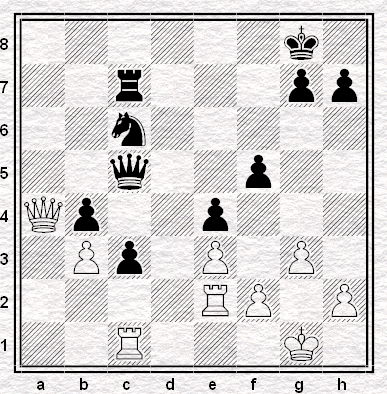 It sees the bishop will be trapped but the number of moves it takes to actually capture it is beyond the machine’s ability to calculate (the ‘horizon effect’) and as a result evaluates the position as better for Black because he will be material up as far as the computer can reach in its analysis. But Fischer was no silicon muppet so what happened? leaves Black a pawn up. Unfortunately for Fischer, 35. 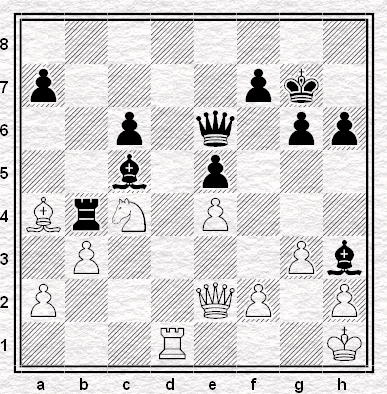 Bd2 traps the bishop for real. In the game after 32. Kf3 Bobby tried …Ke7 and apparently this position is still just about drawn but he blundered again the move before the time control and eventually resigned on move 56. So … Bxh2 turned a certain draw into a very difficult one. Although it had a significant effect on the game the same can’t really be said about the match. Fischer famously failed to turn up for the next game so he effectively gave Spassky a two point head start. 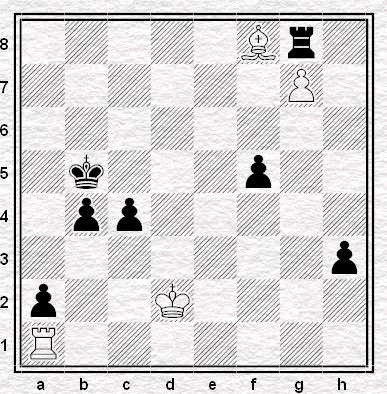 Nevertheless by game 6 Fischer was already in front and by game 13 he had stretched his advantage to 6-3. Several draws followed before Fischer wrapped the match up with victory in game 21. There was no way Fischer was ever going to lose to Spassky regardless of how many points he blundered away. Not much value there then but the real genius behind the blunder is finding it in the first place. It’s just so completely unnecessary it’s beautiful. I’d love to know how long Fischer thought before moving. You might have thought that, playing in his first title match, Fischer would have paused to check whether the World Champion really had just left a pawn en prise – but we can all be grateful that he didn’t. That gives Fischer an Ultimate Blunder Rating of 11.5 and leaves him comfortably ahead of Topalov, which is probably as it should be. There are still plenty more blunders to work through though. Next time … double trouble. 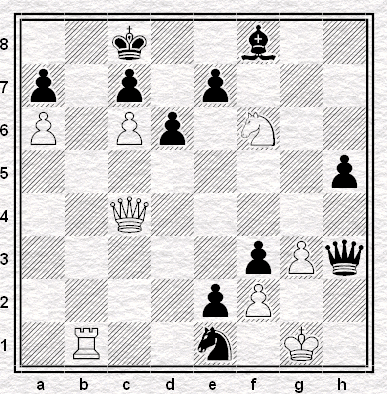 I came across this somewhat random position earlier today (Black to play). What's the objective assessment of this position? How did the game actually end? it's from a World Championship match. On Thursday last week Streatham 2 faced what looked like a tough fixture in Division 3 of the London League against fellow promotees Wimbledon 2. Yet, we romped home to an astounding 8-2 victory. The team now has 3 wins out of 5 this season - currently a mid-table performance. But with much canibalisation going on - and Albany currently the only undefeated team - it's too soon to say that another promotion is out of the question. 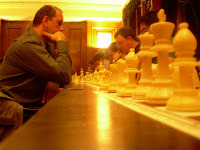 Unfortunately, I recently played my fifth game this season for Streatham & Brixton Chess Club's First Team. This means, I won't be able to play for the second team again this season. But at least I went out with a good result against Wimbledon 2 - winning this game against Chris RA Clegg as black on board 1. 17. ... d4 18. fxg6 Rxf1+ 19. Bxf1 Qg5 20. Nf2 h4 21. Qg4 Qxg4 22. Nxg4 e5 23. 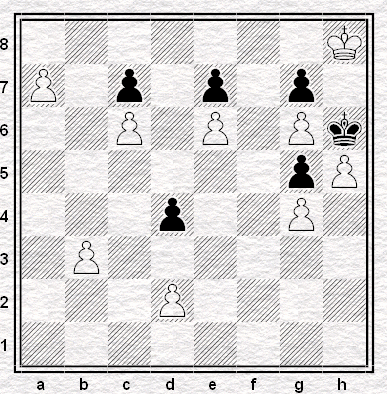 Nf2 hxg3 24. hxg3 Be6 25. c4 (25. Bb5 - threatening Nd3 - is met by 25. 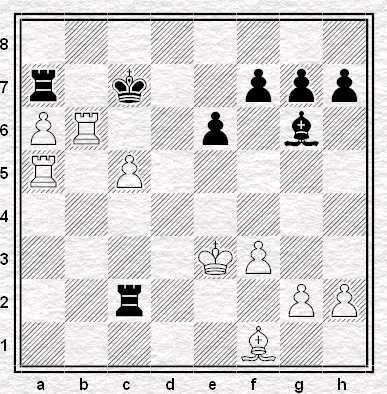 ... c4, so it's now obvious white was not correct to head to this endgame.) 25. ... Kxg6 26. Rc1 b6 27. Kg2 a5 28. 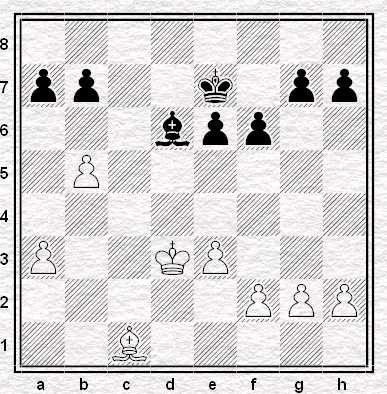 Be2 (28. a4 white still might draw.) 28. ... a4 29. Kg1 (29. a3 was absolutely essential.) 29. ... a3 30. b3 Nb4 31. Ra1 Rf8 32. Ng4 Bxg4 33. Bxg4 Kg5 34. Be2 d3 35. Bd1 Rf7 36. Kg2 Rf6 37. 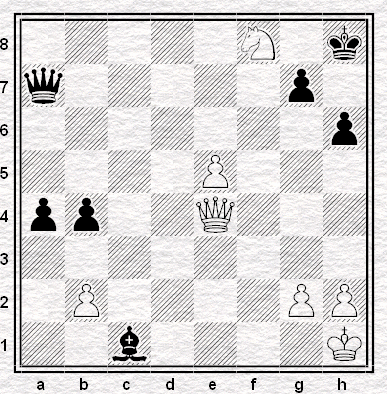 Kg1 Rf8 (The rook moves were just to reach the time control.) 38. Kg2 d2 39. Be2 Nc2 40. 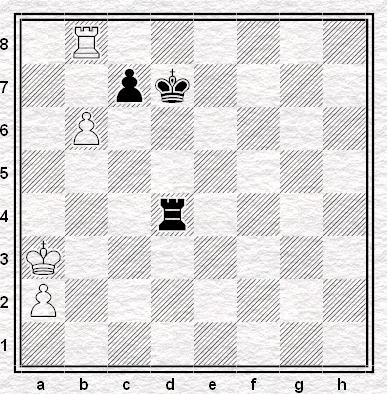 Rh1 Ne3+, and white resigned. 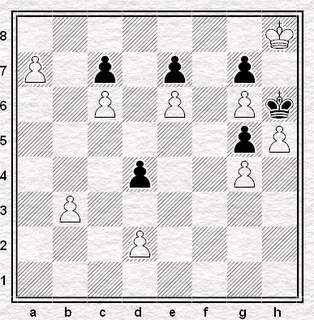 Here's a puzzle I saw in a chess encylopaedia the other day. 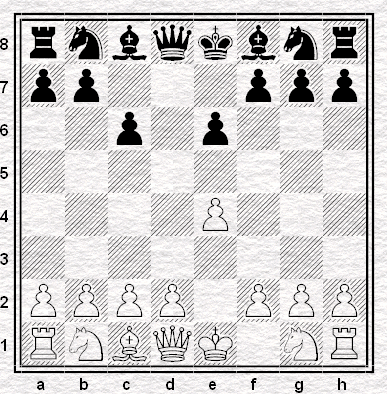 Give the line of play, from the normal starting position, which leads to this position after exactly four moves by both sides. 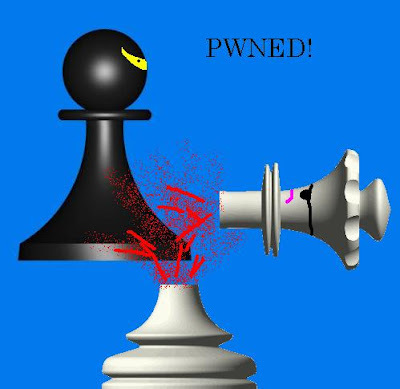 As Martin put it, Streatham & Brixton Chess Club's First Team got hacked up by Hackney last night in the London League Division One. Whilst Andrew won a messy game, and Adam W neatly took apart his opponent's defences, and Robin sacrificed pawns for open lines which he made decisive use of, and Angus & I drew - the tide of the evening turned in their favour on the other boards. 8-4 to them over all. To add to the misery, I had a winning position in my game on move 14, but didn't find either of the two sequences which would have won. Here's the position. I played 14. ... dxe4 after a long think, having rejected 14. ... Nxe4 on account of 15. Qxd5, eg 15. ... Nxc3 16. Qxf5 Nxb1 17. Qxc2 Bb4 18. 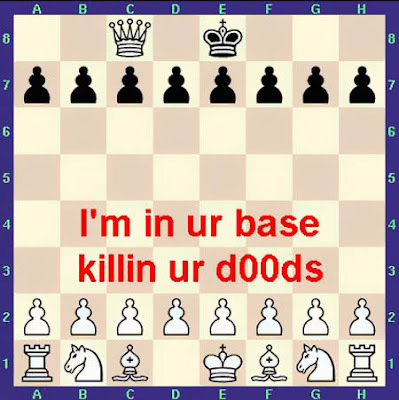 Be3, when the b1 knight is doomed and white wins. Instead, after the mass-liquidation with 15. Qxc2 exf3 16. Qxf5 fxg2+, we agreed a draw. See if you can spot the winning sequences I should have played, without a computer or moving the pieces around. Well, I wasn't looking forward to searching through my 125 unread emails to update you on how Streatham & Brixton Chess Club's First Team has been getting on. And fortunately, now I don't have to! Martin just emailed this summary around: "Thanks to a win in extra time by Alan we have stolen the match against Ilford 6.5/5.5, in spite of playing with 11 men. Well done all. So we have 2 match points from 3 finished matches. The match v Wimbledon is still in the balance 5.5/5.5 with Adam W’s game outstanding." I know what you're thinking - that Alan was white and a win looks fairly likely. But, no. Alan was black. Rook endgames are a bit of a mystery to me, this one more than most. 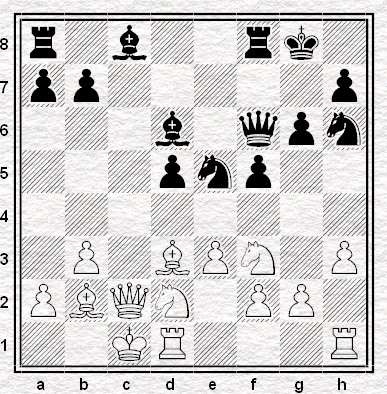 So here are the moves that completed the game, with the final position below: 1. g3 Rf5 2. Rxf5 gxf5 3. Rxb5 Rxd7 4. b4 Rc7 5. Rxa5 Rxc3 6. a4 Kg7 7. Rb5 Kf6 8. a5 Ra3 9. Rb6 Kg5 10. a6 Kg4 11. Kf2 e5 12. b5 Ra2+ 13. Ke3 f4+ 14. gxf4 exf4+ 15. Ke4 f5+ 16. Ke5 f3 17. Rc6 f2 18. Rc1 Re2+ 19. Kd6 Re1 20. Rc4+ f4 21. h3+ Kg3 22. 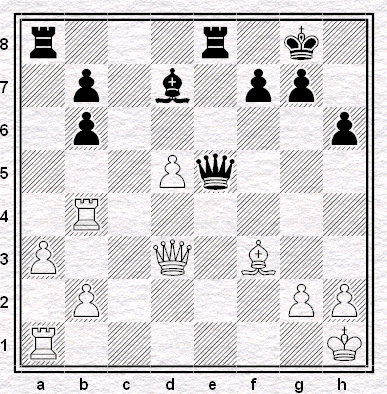 Rc3+ f3, and white resigned. Amazing stuff! A big Congratulations to Alan. And also a big Thank You to Bob, who apparently provided three pages of analysis of the adjourned position - which at the very least changed Alan's mind in favour of 1. ... Rf5. Tonight we face Hackney, who were a considerable force last year in Division 1 of the London League. Good luck everyone. So (since moving house last Monday) this weekend I finally drilled back together my bed, solved a jigsaw puzzle of wood to make three book-cases, and reclaimed the floor from an expanse of my stuff. Amidst which, I rediscovered an old charity-shop-find I'd almost forgotten about: the book World Cup Chess by Lubomir Kavalek. The what by who? Well: The Chess World Cup was a series of tournaments in the late 80s, which no longer exist anymore. They were organised by the Grandmasters Association, which also doesn't seem to exist anymore. As for Lubomir Kavalek, you can read about him here; he is retired now. Not everything in life and chess is temporary and full of change of course. In chess, tournaments and organisations come and go, but we remember the brilliancies like immortal works of art - and humans will do so in awe and admiration until the game is no longer played. And the big big blunders live on indefinitely as well - albeit recalled in a somewhat different mood. But here, there is an intermediary category too: the overlooked instant wins, but the player won later on anyhow. These slip out of memory. Do not find a place in the anthology, or biography. I found the diagram position on page 168 of the book I mentioned, and it's an example of this. 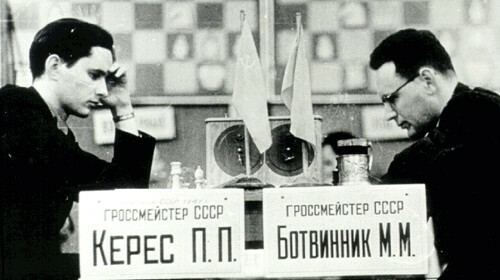 It's from a game between Belyavsky and Ljubojevic. The latter played black, and chose 32. 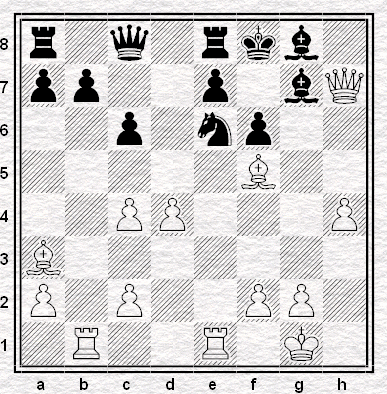 ... Bd4 here, and went on to win on move 61. But he overlooked a sequence that would have made the game unforgettable. Have fun spotting it - and better luck with your own moves! But that changed when I found out I could nominate Kramnik. Alright, alright. "Kramnik?" I hear you say. 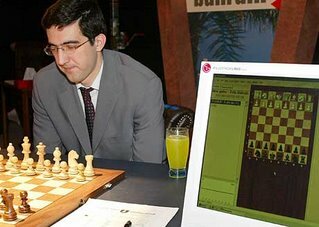 "Dry, technical, boring - that's how most describe Kramnik. Romantic? Hardly!" But, according to Goran Urosevic, this translates as: "Vladimir Kramnik and his girlfriend Maria will get married in Paris on December 30th or 31st. The two have met when Kramnik played world chess championship against Peter Leko and Maria came to interview him." Although, Kramnik's homepage is mysteriously silent on the subject. Anyhow - congratulations go to Kramnik. And I hope you Streatham & Brixton Chess Club enjoy the fun of The J'ahaha, The J'adore, The J'adoubie-doo-bee-doo, The J'ahad, J'aDOH!, The J'aDamn!, The J'adEGO, and The J'adELO - which collectively make up The J'adoubies. If - like me - your week was as busy as it gets, then I hope that - also like me - you'll be spending the rest of this Friday afternoon with your feet up on a desk. In which case, you might want to take a few moments to solve this puzzle. 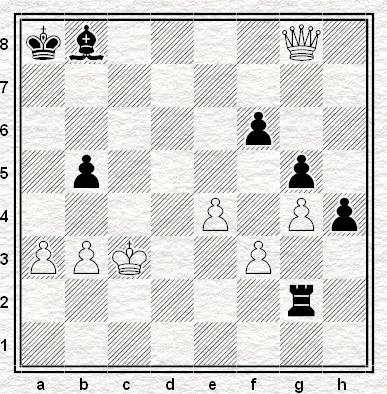 It's in memory of David Bronstein, who was playing black (to move) in the diagram position, in 1965 against Vladas I Mikenas. And if that was too easy - or you've seen it before - don't forget there are other chess puzzles scattered about the blog, too. Here, here, here, here, and here, in fact. Don't think, incidentally, that there isn't any news about Streatham & Brixton Chess Club. There are first team and second team results to report - but all that over the weekend, and early next week. For right now, my hands are leaving the desk, to be replaced by my feet. 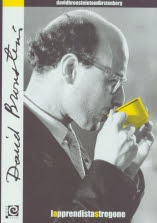 "David Bronstein was both an outstanding chess player and an excellent writer. Furthermore he was one of the most beautiful players of the twentieth century, always looking for the beauty in chess. 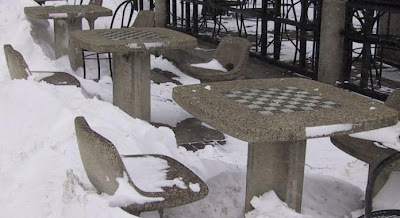 Where Botwinnik saw chess as science, Bronstein considered it to be art. And of course it was Bronstein who wrote one of the true classics in chess literature: Zurich International Chess Tournament 1953. Enough reasons to pay tribute to David Ionovich Bronstein." - Doggers-Schaak in memoriam. "He came within one draw of becoming world champion, and was one of the strongest players in history to not win the title. David Ionovich Bronstein was a remarkable creative genius and a master of scintillating tactics that enthralled the chess world for many decades." - Frederic Friedel, ChessBase obituary. "In the year's I have been compiling TWIC there has only been one death of comparible stature, that of Mikhail Botvinnik in 1995. I have raked over his [Bronstein's] results and achievements without I think quite getting to the essence of why the man was so important and great. When he emerged he was to that generation as Tal and Fischer were to the next or the young Kasparov was to me. He brought something new and exciting to the game and he took that ability right to the very top and in doing so he actually influenced how a generation played." - Mark Crowther's appreciation of Bronstein. See also: Brief Wikipedia biography, and the ChessGames page. "Chess is imagination." - David Bronstein. After winning the World Chess Championship against Topalov in October, Kramnik declared he was going to celebrate by getting drunk with his friends. I imagine that - having lost his match 4-2 against Deep Fritz yesterday - his commiseratory tipple last night and tonight will look a somewhat lonelier picture. Oh well. 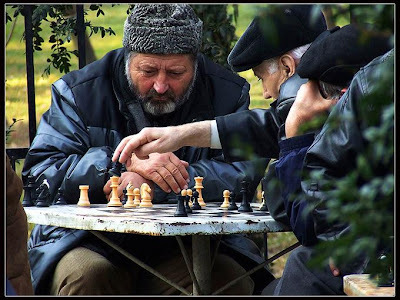 At least Streatham & Brixton Chess Club will be having a better time of it, since it's our club night tonight, down at the The Priory Arms (click for details.) And if you've got a bit of time to spare today before then, you might want to take a look at the interesting final game of Kramnik - Fritz, where Kramnik played black: 1.e4 c5 2.Nf3 d6 3.d4 cxd4 4.Nxd4 Nf6 5.Nc3 a6 6.Bc4 e6 7.0-0 Be7 8.Bb3 Qc7 9.Re1 Nc6 10.Re3 0-0 11.Rg3 Kh8 12.Nxc6 bxc6 13.Qe2 a5 14.Bg5 Ba6 15.Qf3 Rab8 16.Re1 c5 17.Bf4 Qb7 18.Bc1 Ng8 19.Nb1 Bf6 20.c3 g6 21.Na3 Qc6 22.Rh3 Bg7 23.Qg3 a4 24.Bc2 Rb6 25.e5 dxe5 26.Rxe5 Nf6 27.Qh4 Qb7 28.Re1 h5 29.Rf3 Nh7 30.Qxa4 Qc6 31.Qxc6 Rxc6 32.Ba4 Rb6 33.b3 Kg8 34.c4 Rd8 35.Nb5 Bb7 36.Rfe3 Bh6 37.Re5 Bxc1 38.Rxc1 Rc6 39.Nc3 Rc7 40.Bb5 Nf8 41.Na4 Rdc8 42.Rd1 Kg7 43.Rd6 f6 44.Re2 e5 45.Red2 g5 46.Nb6 Rb8 47.a4 1-0. 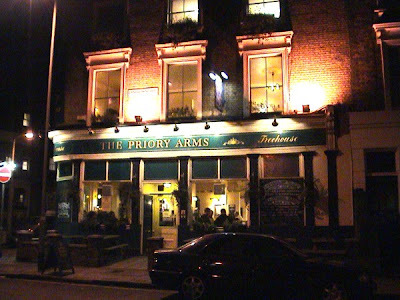 Tomorrow is the first Wednesday of the month - and that of course means our chess club evening at The Priory Arms. 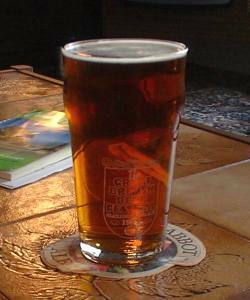 I say 'of course' - but all that will in fact change in January, when the pub converts their upstairs into some flats. As Angus said in the last newsletter, "We have done fantastically well out of the Priory Arms who have provided us with an excellent venue (enjoyed by our opponents also) at no cost for five years." So, whilst I hope to say 'hello' to many of you there tomorrow - it will also be a little bit of a 'goodbye' too. Well Streatham & Brixton Chess Club, I've been up for an hour and a half, and whilst I'd like to say 'Good Morning' to you, the truth is we're moving house today, half-packed, have to rush out for a van, then traverse London a few times, in order to trudge all our stuff up four flights of stairs. At times like this I start to puzzle over why I've never won the lottery, or why someone isn't paying me half a million dollars to lose to Fritz. I can easily do that any day of the week. Lose to Fritz, I mean, not win the lottery. Still, at least Bob sent me a fabulous puzzle to solve, saying: "You asked for remarkable positions, well here's one from an Andersson game v anonymous. I found it in a book printed 1944. I have my suspicions about it's authenticity, but it's a great position. Don't you dare use a chess engine on this!" 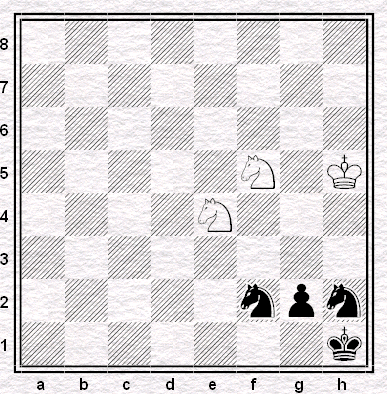 It's white to play - and indeed, I think I just solved it without assistance. Enjoy doing the same. The second chessabit rapidplay tournament was held yesterday, and three Streatham & Brixton Chess Club players took part - James, Adam W and myself. A full report will follow later, since I am somewhat unclear on a few decisions the organisers made, and will be emailing them to clarify. But, some interesting chess was played. Many of my games got very messy - especially the one that started with the wild 1. e4 e5 2. Nf3 Nc6 3. Bb5 f5 4. Nc3 Nd4 5. Bc4 c6 6. Nxe5 Qe7 7. Qh5+ etc - and in a few games I was lucky to salvage draws from outright lost positions. I guess that's the nature of chess when the time limit is fifteen minutes each for all your moves. Still, I managed a couple of very clean wins with white (all my black games were drawn) and here is one from the first round that shows the importance of getting 'your' opening in at this time-limit. 1. e4 d5 2. exd5 Qxd5 3. Nc3 Qa5 4. Nf3 Bg4 5. b4!! Undoubtedly the best move in this position at this time limit. The point is 5. ... Qxb4 6. Rb1 with 7. Rxb7. 5. ... Qf5 6. Be2 c6 7. b5 Qc8 8.O-O Nf6 9. Bc4 e6 10. a4 Be7 11. Ba3 Bxa3 12. Rxa3 c5 13. h3 Bxf3 14. Qxf3 O-O 15. Ne4 Nxe4 16. Qxe4 Nd7 17. Rg3 Nf6 18. 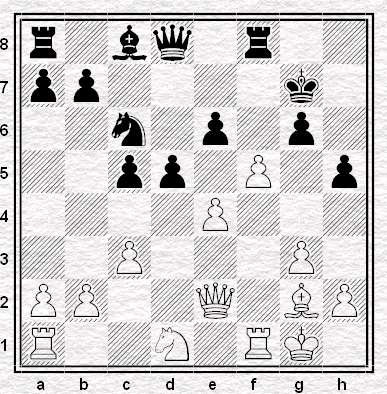 Qe5 Clearly, black has played somewhat submissively and white now has the makings of a huge attack on the kingside. But after 18. ... b6?? 19. Qxf6 my opponent resigned straight away. Btw, my preview of the event can be found here. 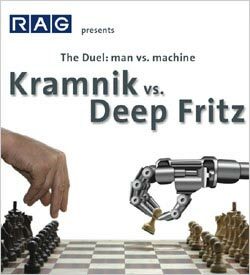 If Fritz-Kramnik was a Human-Human contest, then game 4 would register as a distinct improvement for that first human (ie Mister Fritz). We would say that first human was lucky not to be behind - and let alone especially lucky to be a game in front - but that in game 4, he at least knew how to get a better endgame and apply pressure throughout. And whilst he must be a touch disappointed with the draw, at least he showed some subtle class that had been missing from his play in certain previous games. Of course such descriptions make no sense with Fritz, who - unlike its sponspors - couldn't care less, whatever passionate remarks its display says. Fritz was white yesterday, and here are the moves of the game: 1.e4 e5 2.Nf3 Nf6 3.d4 Nxe4 4.Bd3 d5 5.Nxe5 Nd7 6.Nxd7 Bxd7 7.0-0 Bd6 8.Qh5 Qf6 9.Nc3 Qxd4 10.Nxd5 Bc6 11.Ne3 g6 12.Qh3 Ng5 13.Qg4 Qf4 14.Qxf4 Bxf4 15.Nc4 Ne6 16.Bxf4 Nxf4 17.Rfe1+ Kf8 18.Bf1 Bb5 19.a4 Ba6 20.b4 Bxc4 21.Bxc4 Rd8 22.Re4 Nh5 23.Rae1 Rd7 24.h3 Ng7 25.Re5 Nf5 26.Bb5 c6 27.Bd3 Nd6 28.g4 Kg7 29.f4 Rhd8 30.Kg2 Nc8 31.a5 Rd4 32.R5e4 Kf8 33.Kf3 h6 34.Rxd4 Rxd4 35.Re4 Rd6 36.Ke3 g5 37.Rd4 Ke7 38.c4 Rxd4 39.Kxd4 gxf4 40.Ke4 Kf6 41.Kxf4 Ne7 42.Be4 b6 43.c5 bxc5 44.bxc5 Ng6+ 45.Ke3 Ne7 46.Kd4 Ke6 47.Bf3 f5 48.Bd1 Kf6 49.Bc2 fxg4 50.hxg4 Ke6 51.Bb1 Kf6 52.Be4 Ke6 53.Bh1 Kf6 54.Bf3 Ke6 1/2-1/2. 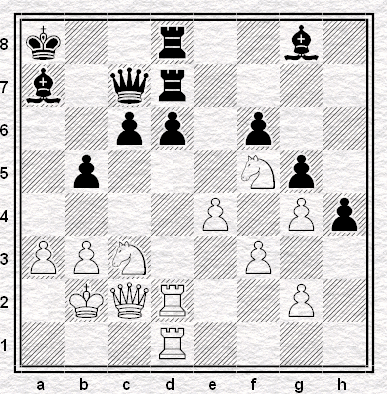 I have a strong hunch if Kramnik had had white, the result of that endgame may have been different. Tomorrow (Sunday) is the fifth game of this six-game match. Kramnik has white; he surely must go for the win in an attempt to draw the match. You can keep track of it via one of the ten live feeds here. Kramnik, meanwhile, ought at least watch out for those mates in one. Streatham & Brixton Chess Club's second team faced a tough London League third division match against Albany on the 23rd. On the night the score was 5-3 to them with two adjournments. 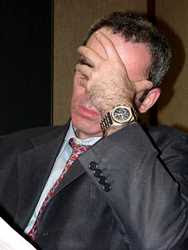 But when I spoke to my opponent on the phone to arrange a resumption date, he told me that his sealed move was 37. Ne2. That was enough for me to resign, since five minutes with Fritz had confirmed to me already the impression I had on the night: his attack would then cost me a rook. So, we lost the match. Congratulations to Albany though, who have been fielding a consistently strong team this year and are currently unbeaten. They look hot favourites for promotion, as can be seen from the Division Three Table. 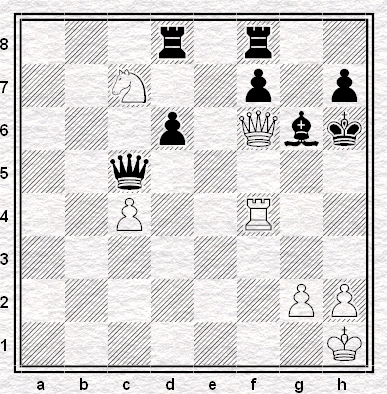 Here my opponent blundered with 33. R2c2?? I'm sure you can spot the instant win I had then. A full report on that match will follow later, in a separate post. Oh, btw. If you're tired of seeing little incidents from my games (how dare you!) then feel free to send me your games for publication - or interesting positions from them.